Although Sunday at COTA was clear, the weather had a profound impact on the United States Grand Prix and teams may well have to prepare for another tricky weekend in Mexico, as wet weather is forecast once again for the Autodromo Hermanos Rodriguez weekend. Torrential rain on Friday in Austin played havoc with team's preparations, Lewis Hamilton completed just nine laps across the two sessions, for example. It left teams guessing and it was telling that three different strategies made up the top three as Kimi Raikkonen won from Max Verstappen and Hamilton. The paddock might have hoped for clearer skies in Mexico City, but no such luck, with rain forecast for every day of the grand prix event. Although teams managed to skirt the worst of the weather on Friday and Saturday, fingernails will be bitten on pit-walls up and down the paddock, with a strong chance of rain forecast for the middle of the race. 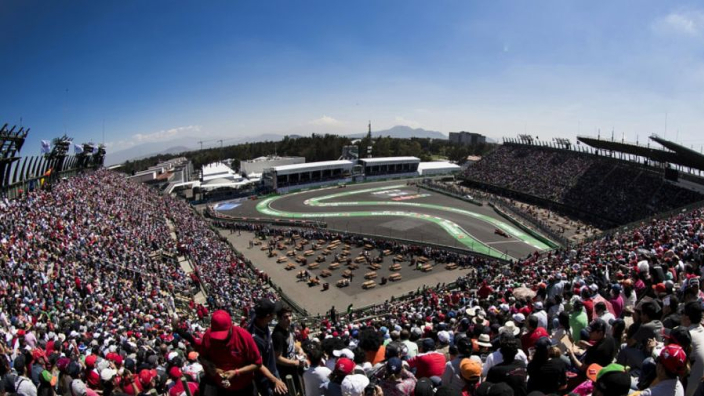 The #MexicanGP starts at 13:00 local time.